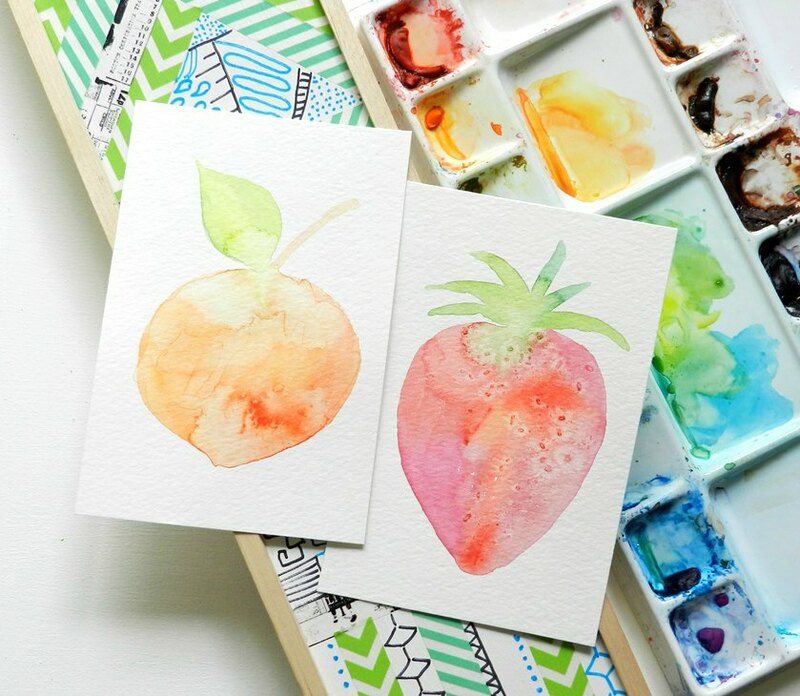 Elise Engh Studios: Lots and Lots of Fruit! 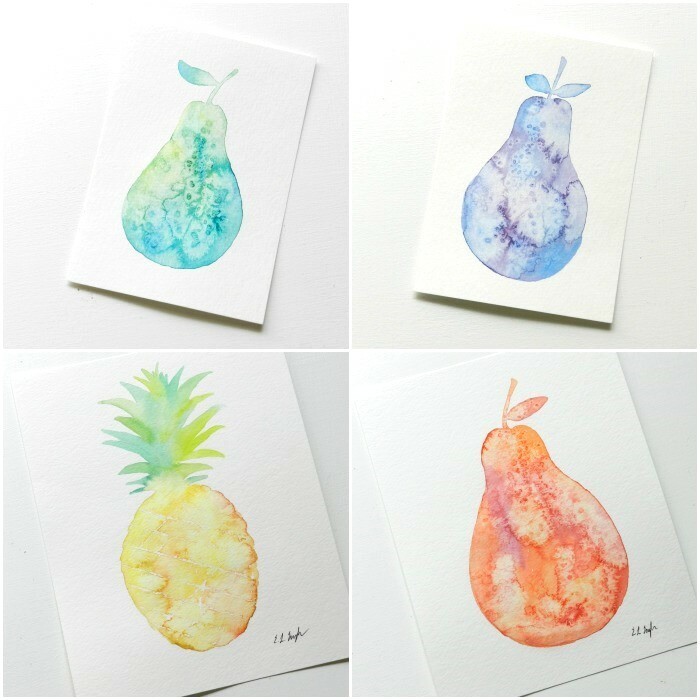 I've been painting fruit. lots and lots of fruit! And with a little help from salt- they have some fabulous textures going on too! 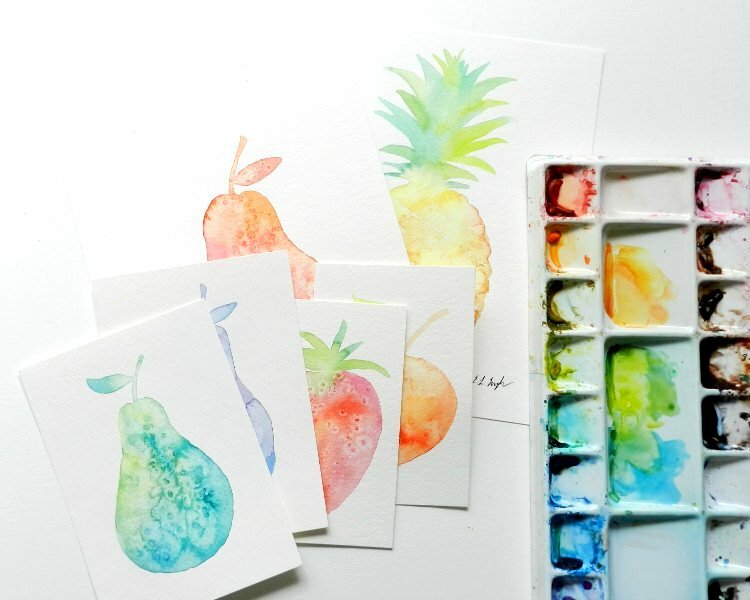 These aren't like the realistic pears I have painted in the past. These are more of a silhouette/ decorative style, for which, there will be a tutorial or two. 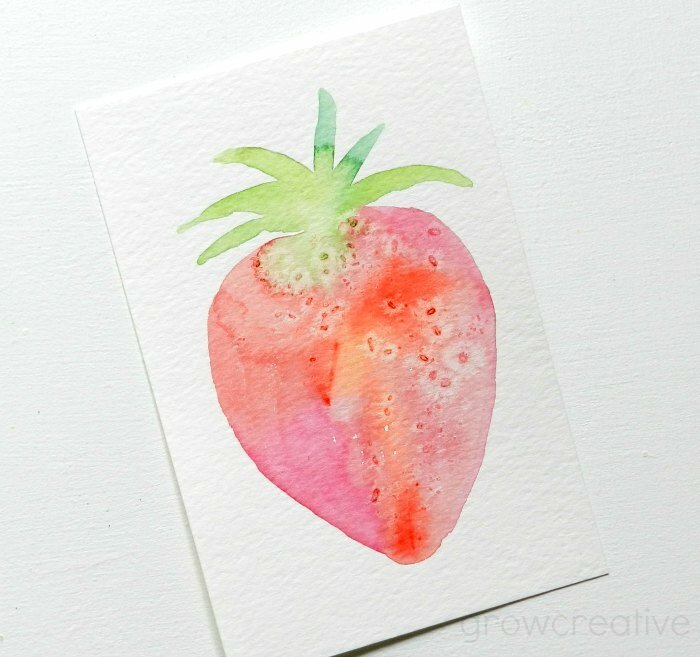 Stay tuned for my Watercolor Fruit Series coming next week ! Yes you should! I used Epsom salt here- you can use table salt, but it doesn't work quite as well as the bigger grains in epsom salt or rock salt. The salt effect is really cool! I especially like the pineapple!